Example found on 08/16/2018 09:48 AM o'clock. If you choose a different rental period, the price can deviate from the example. This offer was found on 08/16/2018 09:48 AM. This offer was found on 08/06/2018 02:44 AM. Pescara is the capital of Pescara located in the region of Abruzzo, Italy. It is positioned at the mouth of the Aterno-Pescara River on the Adriatic coast. The region is characterized by the coastal as well as the hilly external zone that slopes gently into the shoreline. Alluvial plains, sandy beaches, and the inner mountainous region copped with Apennine peaks are breathtaking. This is a must-visit-area; it is such marvelous. 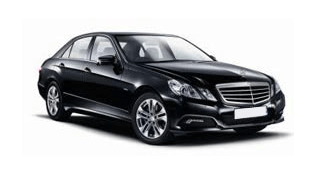 If you wish to have your next business trip or a holiday gateway in Pescara, then you have to be keen when looking for car hire Pescara. A good number of car rental companies have been reported to overcharge unsuspecting clients. Therefore, you should consider HAPPYCAR for a price comparison. We have partnered with AutoEurope, Holiday Autos, and Hertz to give you the best car rental offers. Our main objective is to ensure that you have the smoothest experience when you book your car. The origin of Pescara city dates back to the Roman Conquest. It was initially founded to become Theate Port to enhance trade with the Orient people. Jovis Aternium was the main building and the town developed to become a famous port for robust trade with the residents of the eastern provinces. The inland part of the city is defined by the presence of a number of rivers whose banks are endowed with unique flora and the rivers are home to lovely fauna. The rivers include Tirino, Tavo, Pescara, and OrtaRivers. Lakes Alanno and Penne host protected oasis. Stretching from the mountainous regions to the coastal low lands, the entire province of Pescara provides an artistic treasure and venues for relaxation as well as wellness in contact with mother nature. The city of Pescara lies on the borderline of humid subtropical climate and Mediterranean climate. The city enjoys cool winters and hot summers. Lowest temperature of 7 °C is recorded in the month of January and July is the warmest month recording a temperature of about 24.5 °C. The city experiences low precipitation throughout the year, but mainly concentrated in late autumn. The historic city is situated on the southern shore, where the fortified city once stood. The fortified city, also known as the Piazzaforte, was a military bulwark of the Two Sicilies Kingdom. The Bagno Borbonico, which served as an old prison now houses the Abruzzi people museum. The museum has preserved the aspects of life, economy as well as traditions dating back to about 4000 years of the Abruzzo people. If you want to have a fantastic view of Pescara, take a trip to the Corso Umberto I ending at Piazza Rinascita, that is also known as Piazza Salotto, then drive to the coast through Piazza Primo Maggio. Finally, you can take a walk-through Corso Monthone, the main street of this old Italian city and a nightlife hub. Pescara region preserves a crucial natural endowment. You will find notable national parks and reserves such as the Majella National Park, Monti Della Laga park, and Gran Sasso National park. Moreover, you may want to visit the lake Penne reserves and the Pescara River Source National Reserve. Make sure you visit the Caramaico Terme that allows visitors to engage in wellness while on their way to the Medieval Village in the Maiella Park. Do not forget some massages as well as beauty treatments, all of which make use of muds and thermal waters. Visiting the coastline will do no harm. It offers some relaxation along with summer sporting activities including beach volleyball, windsurfing, spinning, water biking, and watercraft rentals. Most of these beaches in the region are well maintained and easily accessible, that's why they're such popular. In order to have a taste of Pescara local cuisines such as the lamb arrosticini, you need to seek car rentalPescara services. While in the city, you need to taste the porchetta and the sheep alla callara that is normally seasoned with a number of herbs and steamed for hours.